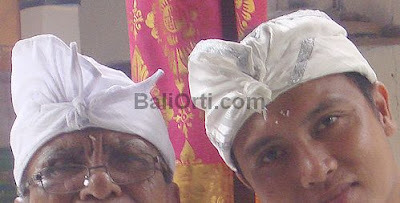 Two Balinese men wear a headband called udeng / udheng / destar. For Balinese, udeng (often also called destar, also udheng with the accent spoken by foreign tourists in Bali) is a headband for Balinese men who are usually in use during traditional events, religious ceremonies, wedding ceremonies, going to the temple, During customary group meetings. This headband is made with a fabric that is shaped in such a way, has a variety of shades. 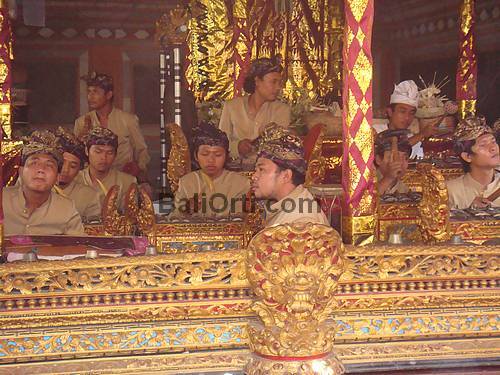 Traditional arts groups in Bali also wore udheng / destar / udeng as headbands when they played music. Male dancers also always wear udeng, because udeng is a feature for the Balinese. Now udeng (destar / udheng) has become a souvenir that is always purchased while on vacation in Bali. This souvenir is very typical and very characteristic of Bali. Because the headbands of Balinese male headbands have become the life icons of citizens. This souvenir is very distinctive and appropriate, unique and unusual. Because usually people will buy souvenirs in the form of t-shirts, key chains. 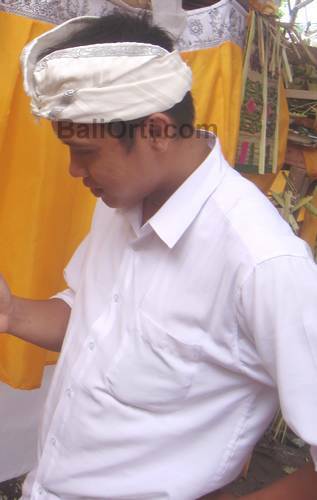 The Balinese male's headband if used without the distinctive cloth to cover the lower part of the body, will not be complete and will look lame. Balinese men wearing headbands should also wear cloth to cover lower body parts, not pants or skirts, but like a glove wrapped around the waist, the ends are folded like triangles. Then closed the cloth again. People usually call this with a Balinese dress. Want to get and buy udheng in Bali is very easy. Everywhere there are sellers of headbands. Because udeng has become a mandatory requirement for men. Prices vary widely depending on the type of fabric and motifs. The better and thicker the fabric is used, the more expensive it is. But usually the dirar for souvenirs are very cheap. Because the fabrics used are the ugliest and the thin, they are made with a pickup, are easily damaged, and smells stinging from a mixture of dyes and samblons. In contrast to the udeng used by priests in Bali. Shrimp used by the pastor usually cover all parts of his head. This shrimp is only fitted to be used by priests. Ordinary men are not allowed to wear this kind of headset. 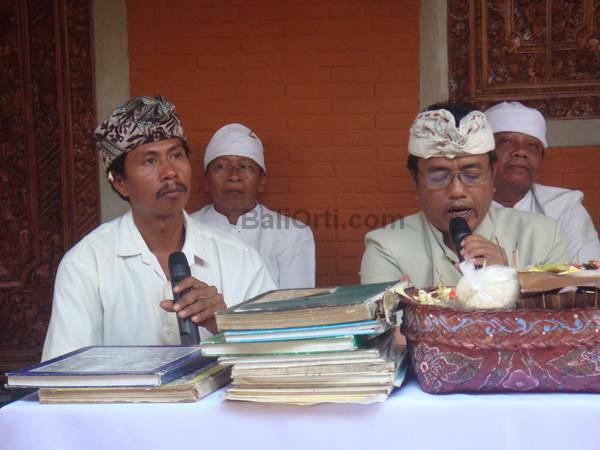 The history of udeng / destar / udheng in Bali is unclear. But, it seems udeng has been used since the time of the kingdom, in ancient times, since the fabric began to be used as clothing.